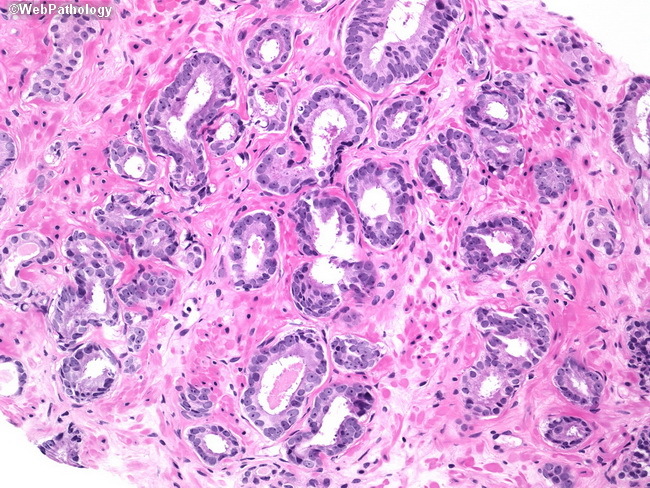 This focus shows variably sized discrete neoplastic glands in a needle biopsy. Some have well-formed open lumens; others have distorted or nearly-occluded lumens. Nuclear enlargement and hyperchromasia with prominent nucleoli can be appreciated even at low magnification. Basal cells are not seen.